Klamath Lake Blue Green Algae grows naturally in the clean, mineral-rich waters of Klamath Lake in Southern Oregon, the perfect environment for this wild fresh water algae. It is one of only a few wildcrafted supplements available for consumption, ethically harvested without the use of pesticides, fertilizers or chemicals. 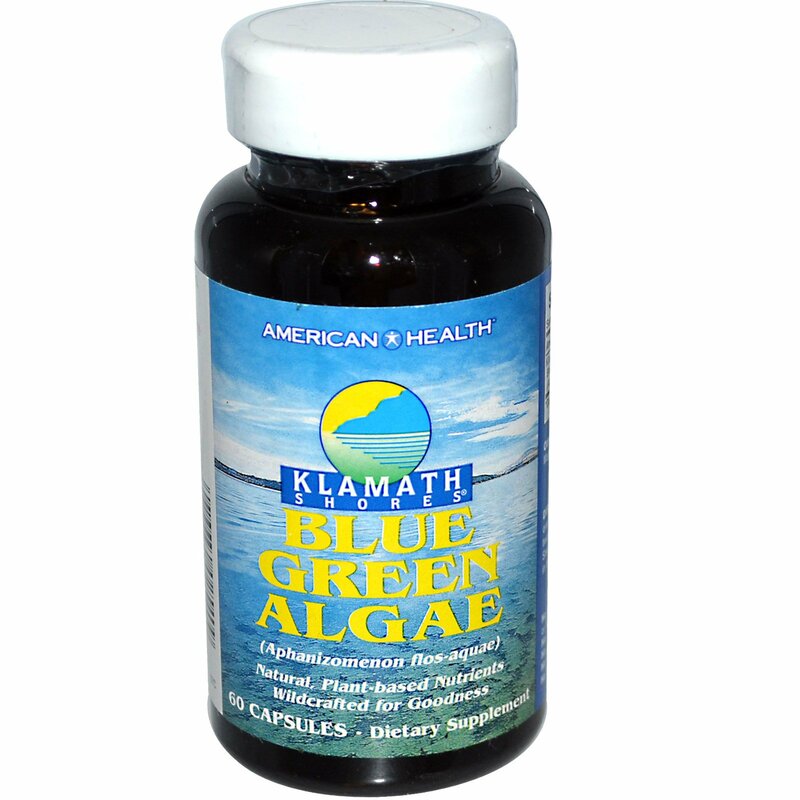 This extraordinary algae contains many beneficial phytonutrients plus the pigment called phycocyanin, responsible for the blue-green color of this natural, whole food nutrient. 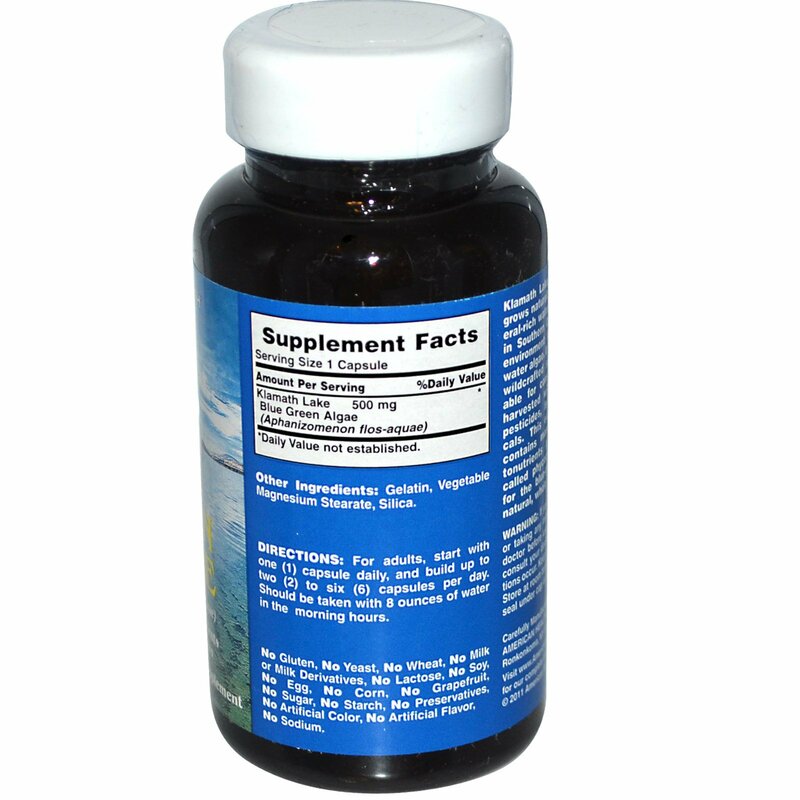 For adults, start with one (1) capsule daily, and build up to two (2) to six (6) capsules per day. Should be taken with 8 ounces of water in the morning hours. No gluten, no yeast, no wheat, no milk or milk derivatives, no lactose, no soy, so egg, no corn, no grapefruit, no sugar, no starch, no preservatives, no artificial color, no artificial flavor, no sodium.